Noise pollution is a problem almost everywhere, but particularly in the urban environment where people live close together. Apartment dwellers and anyone else who needs a break from the noise will appreciate HusH, an urban noise cancellation device that would help us all live quieter, more peaceful lives. 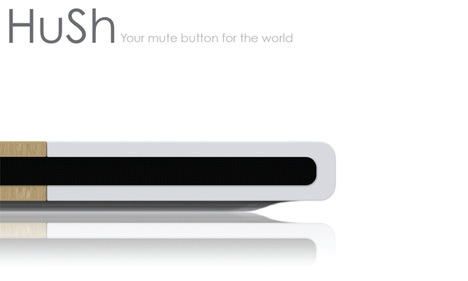 The HusH, a concept designed by Emil Blanco, is like a mute button for our noisy world. The small device sits on the nightstand (or wherever you need to kill the noise of your neighbors or other distractions) and sends out a noise-canceling sound wave. If you wish, you can also set the HusH to act as a speaker for your MP3 player. In the morning when you’re ready to wake up, the HusH can also act as an alarm clock. It plays a sound to wake you while also activating a sunlight-like light to make the transition from sleep to waking easier. 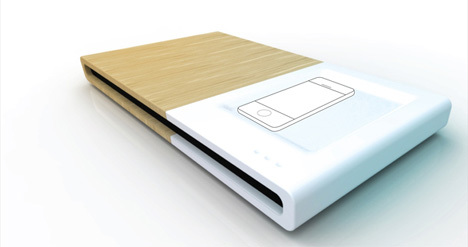 Half of the device is white ceramic and the other half is natural wood. 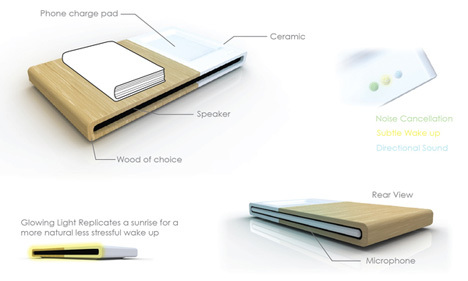 The wood segment provides a platform on which to rest books, a glass of water or eyeglasses. 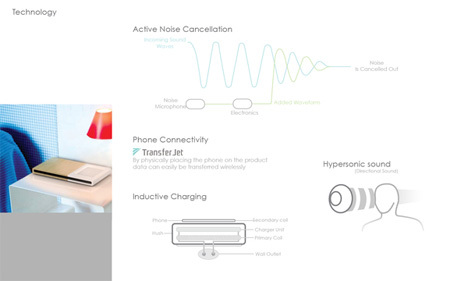 The ceramic portion charges mobile devices through inductive charging technology. Directional speakers ensure that the device doesn’t disturb anyone else around you. Although only a concept at the moment, there could definitely be a market for a consumer product that eases our daily inconveniences and troubles as more and more of the population moves into urban areas. See more in Home & Personal or under Gadgets. February, 2011.